Is the Abraham Curry house haunted? The Abraham Curry house was built in 1871 by its first owner of the same name. Abraham was an interesting man who had a hand in many businesses and possessed huge ambition. The house itself is a one-story masonry building and all though it is an impressive and beautiful building it is of reasonably basic design. It was added to the national register of historic places in 1987 and is currently home to a legal firm which sadly means its closed to the public. The story of the man behind the house is reason its so well known as a haunted house. Abraham Curry is the founding father of the city of Carson. He moved to the area with various business partners who together bought 1000 acres of land. After buying the shares off of his partners he began to establish the foundations of the city, including donating 10 acres of his land for the cities capitol. The house is said to be haunted by the ghost of Abraham Curry himself. There have been a number of sightings of his apparition, which has been described as being solid enough to identify resemblance to the man. The reason why he lingers in his old home is unknown, though there are a few popular stories. Abraham died in 1873 meaning he only got to live in his dream home for 2 years before dying from a stroke, and as he was known as being a very loving family man he certainly would have wanted more time here. Another reason suggests that he was simply someone who refused to die and give up as he was known as being a real mover and shaker in life, though this wasn't his choice. 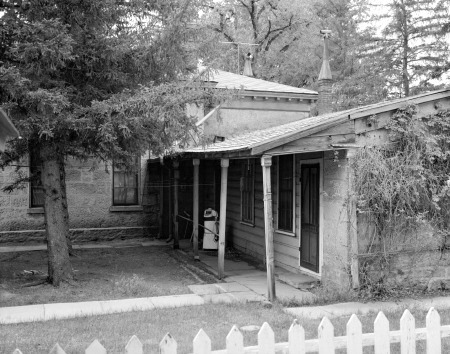 He has been seen at the Carson city mint were he used to work and walks the corridors and rooms of his old home, as if forever repeating the motions of life. The next and by far the most common story is that he comes back to check up on how his family survived without him. There is a well known story that when he died there was only a single silver dollar in his pocket, which was thought to be all the physical cash he owned. His wife even made an official statement claiming that this was all the money he had on him at his time of death. Its thought the reason he comes back is curiosity, checking up on how his family got on after he left them so suddenly. The house was eventually left to his daughter and its very likely that since he had a hand in so many businesses there was a substantial amount of money to see his family through.